I had been working as a geologist in the mining industry for a mining consultant company in Asia since my graduation. So far, I have worked in Indonesia, Kazakhstan, Russia, and China. Apart from working in the mining sector, I also started a Hong Kong-based non-profit organisation in 2014. It is called “ProjecTerrae.” The aim is to promote the development of Earth Sciences and natural resources sustainability in Hong Kong. A book, “Hong Kong Mining History,” was published in August 2015. During my free time, I also organise geological guided tours in Hong Kong for the public. I have been on project sites which were located in remote regions of developing countries. There was no electricity or water supply; the weather conditions were rough; it was sometimes freezing in the grasslands at night. There was no shower available during the whole expedition, and adaptation to such an environment was the biggest challenge of the work. However, I have enjoyed every expedition as they were all memorable experiences. The Antarctic expedition has been the most exciting opportunity of my career to date. I was lucky enough to get a chance to join a two-week expedition to the Antarctic in early 2014: a journey which was completed in near pristine white wilderness. The best moment was the night when we were sleeping and penguins started to encircle our camp. It was an amazing experience. 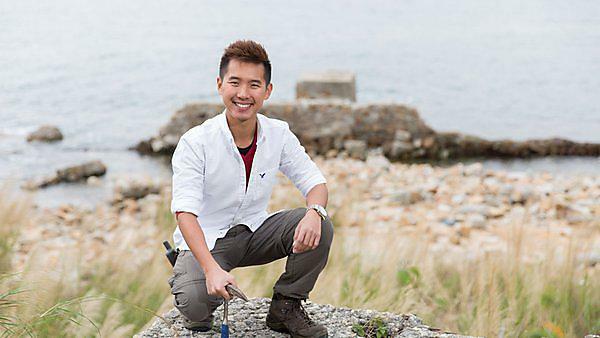 Studying at Plymouth allowed me to develop my interest in geosciences. I enjoyed the numerous geological field trips, both local and overseas, during my study. The interactive nature of the education deepened my understanding of the topic and also highly enhanced my interest and decision to specialise in geosciences after my graduation. How has a degree from the University of Plymouth influenced your career? The postgraduate study at the University of Plymouth has provided me with a chance to conduct my academic research in geophysics in Cyprus. It was an invaluable experience for me and I enjoyed being in the field a lot. This experience equipped me with the necessary skills to develop my career as an exploration geologist in the field and in the mining industry. The most memorable moment during my degree at the University of Plymouth is definitely doing my research in Cyprus. There, I collected first-hand data in the field, during the hot Mediterranean summer, under the supervision of professors and tutors from the University. It was hard, but I learnt a lot during the trip and had great fun as well. I would absolutely recommend others to undertake a course at Plymouth University, especially if your study is related to marine subjects. It is a perfect place to study marine sciences, easy access to the sea, with opportunities across the world, and specific support to students interested in marine study. Yes. Try to make the best use of your time whilst studying at the University of Plymouth and explore as much as possible. You will be able to discover the thing or the subject that interests you most: and that will mark the best time of your university life. For more information about our range of courses within the School of Biological and Marine Sciences please visit the school page.